The astonishing #1 New York Times bestselling novel!the longing.Once Grace and Sam have found each other, they know they must fight to stay together. For Sam, this means a reckoning with his werewolf past. For Grace, it means facing a future that is less and less certain.the loss.Into their world comes a new wolf named Cole, whose past is full of hurt and danger. 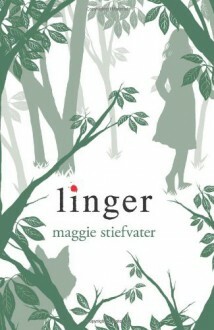 He is wrestling with his own demons, embracing the life of a wolf while denying the ties of a human.the linger.For Grace, Sam, and Cole, life is a constant struggle between two forces--wolf and human--with love baring its two sides as well. It is harrowing and euphoric, freeing and entrapping, enticing and alarming. As their world falls apart, love is what lingers. But will it be enough? Poetic, mesmerizing, haunting, mercy falls wolves are impeccable. http://Chiawen.booklikes.com Chias Bücherecke 5.0 Diese Fortsetzung ist echt gelungen! url Diese Fortsetzung ist echt gelungen!